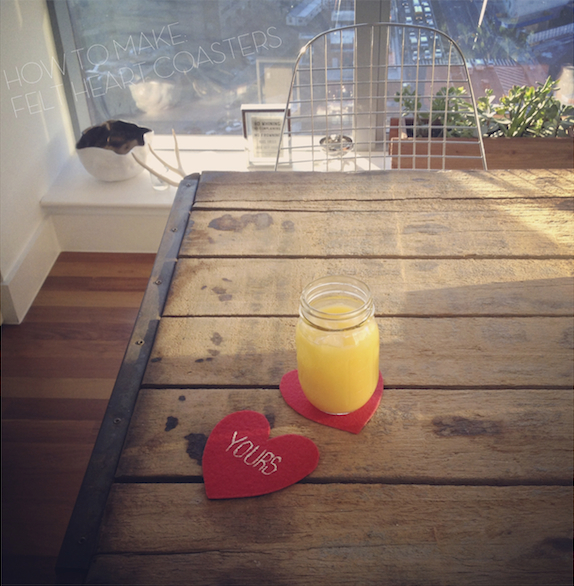 Unique Gifts: How To Make "Heart Felt" Coasters for Valentine's Day! / Hey, EEP! 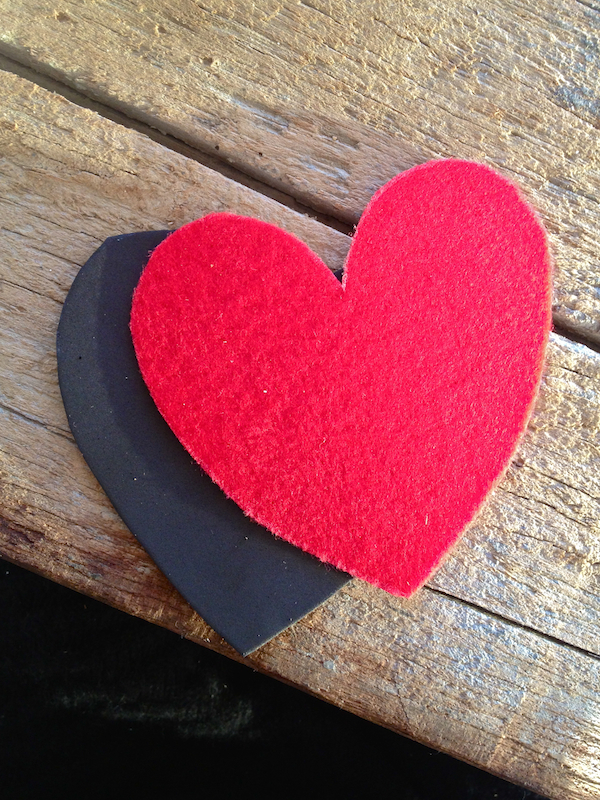 Unique Gifts: How To Make "Heart Felt" Coasters for Valentine's Day! Print a heart to use as a guide (most glass bases are about 3-inches in diameter, so make them at least that big). Trace the outline onto adhesive felt and foam paper. Cut out the shapes. 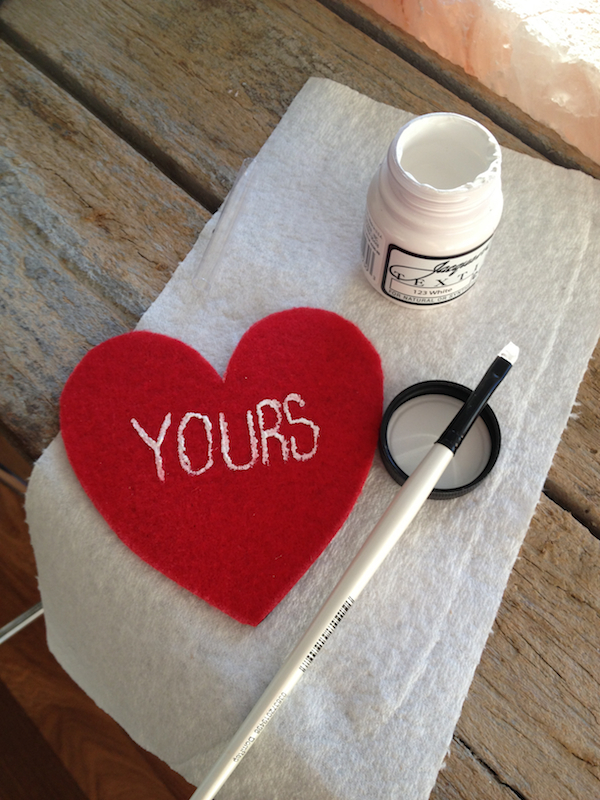 Pair together 1 felt heart with 1 foam heart; trim any overhang if needed. 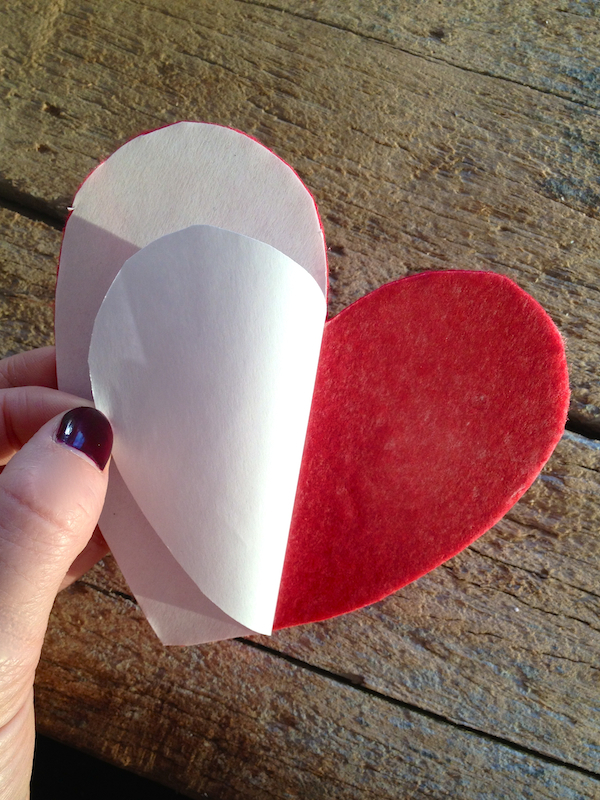 Peel off the adhesive backing from the felt and press onto the foam heart to secure. 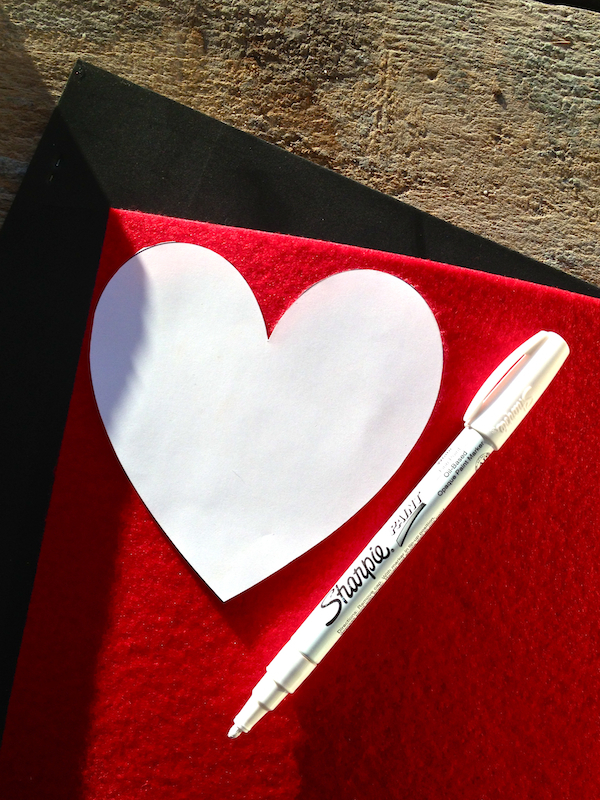 Use white fabric paint to write on the hearts. 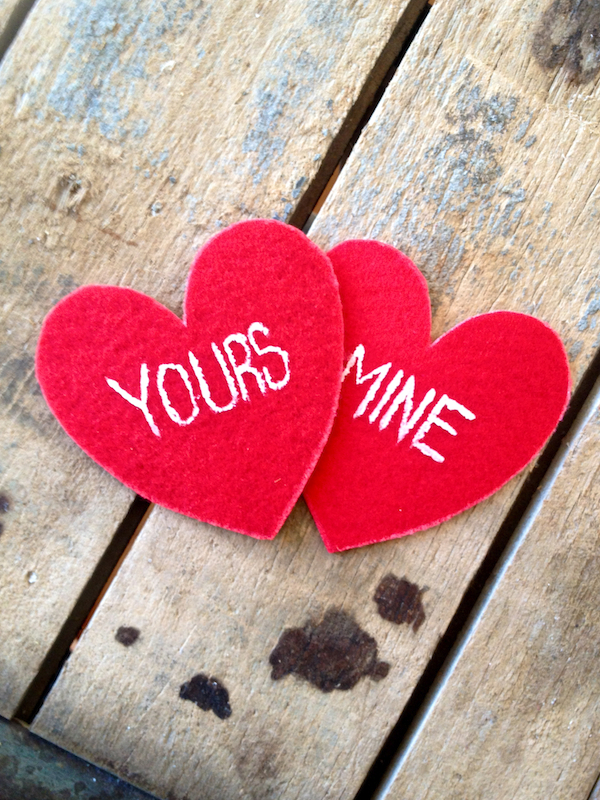 I made "yours" and "mine" and "ours" coasters.